Your child will enjoy a gentle, low-speed ride on the Dinosaur-Go-Round, located in the Founder's Way℠ region! 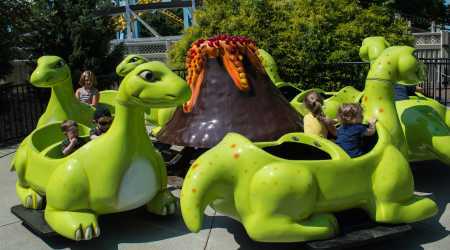 Our friendly dinosaurs take riders on a fun adventure around a volcano. Come say hello to your new prehistoric friends!